It’s arguably the worst holiday. Valentine’s Day is right around the corner, but for people like us who would much prefer a second Halloween, it’s the lamest day of the year. Not to say everyone hates Valentine’s Day, but all the lovey-dovey stuff can be a bit much sometimes. Anti-Valentine’s Day is more our style—sarcastic, dark and definitely way less cheesy. 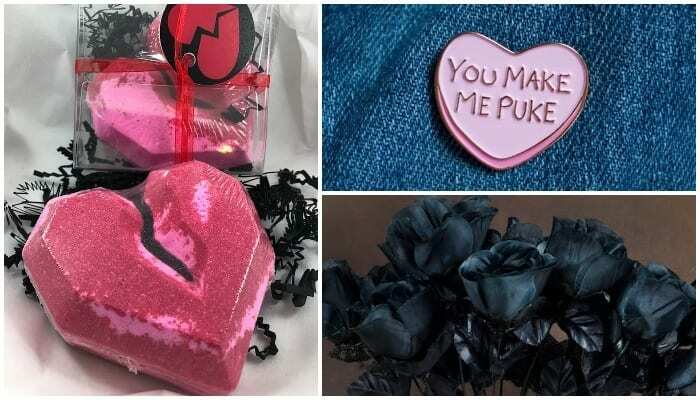 We’ve compiled a list of 12 things you need to buy if you are a V-Day hater to do everything in your power to not celebrate love Feb. 14. Happy holidays! 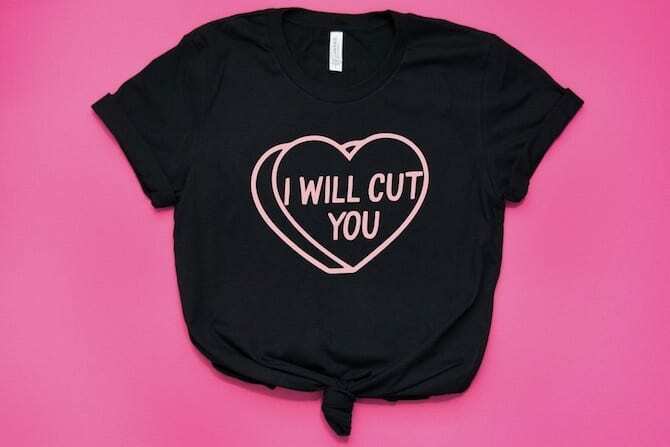 Let people know that they shouldn’t even try to wish you a happy Valentine’s Day by wearing this shirt all week. 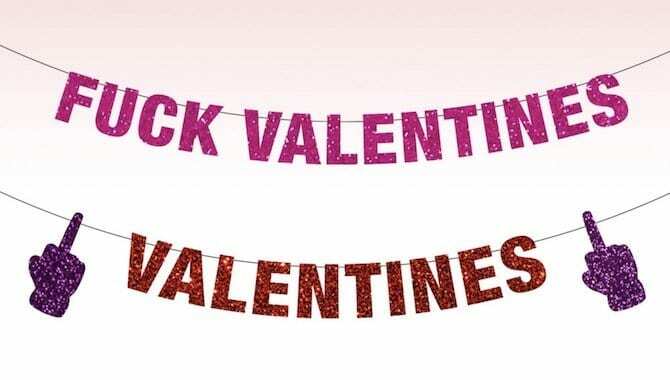 This Etsy account makes customizable banners so you can throw the best anti-Valentine’s Day party ever filled with horror movies, snacks and definitely no significant others. 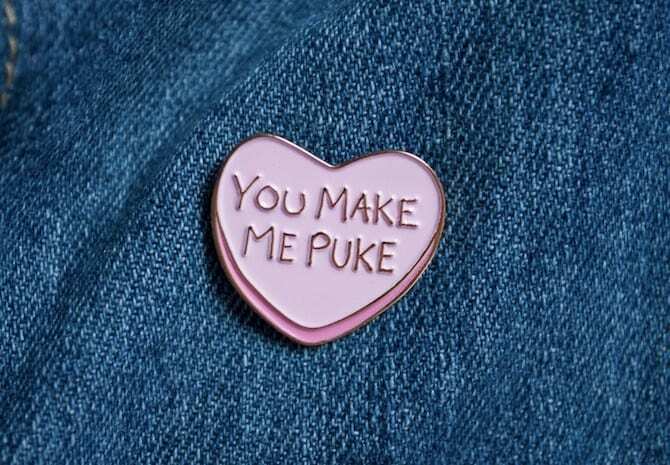 Honestly just rock this pin year-round because it basically sums up our feelings about people in general. Celebrate Feb. 14 by making these sarcastic insult cookies to pass out to everyone you know who’s guilty for succumbing to way too much PDA. Get yourself in the spirit by giving yourself a manicure with these stickers, which include broken hearts and “meh” lettering. Self-care is important. Everyone loves jewelry on Valentine’s Day, and this ring gets the point across. Get your BFF one too while you’re at it for an easy and personal V-Day gift.